His Majesty the Druk Gyalpo graced the closing ceremony of the first session of the third Parliament on Thursday. Her Majesty the Gyaltsuen, members of the Royal Family, representatives of the Central Monastic Body, senior government officials, and foreign dignitaries, among others also attended the closing ceremony. The Speaker of the National Assembly, Wangchuk Namgyel welcomed and expressed his gratitude His Majesty for the continued support and guidance on behalf of the house and the people of Bhutan. 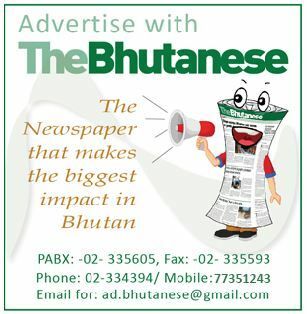 Speaker Wangchuk Namgyel then reported before the house that over the past few weeks during the parliament proceeding, the National Assembly has unanimously endorsed nine standing committees as per the provisions of the Constitution of the Kingdom of Bhutan and National Assembly Act of Bhutan. 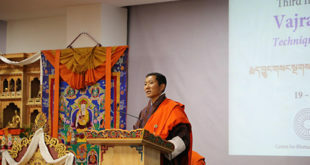 “The National Assembly has adopted the Terms of Reference (ToR) for the committees and therefore, it is imperative that the committees review and amend, and harmonize laws in line with the provisions of the Constitution of the Kingdom of Bhutan for the well-being of the people with changing times,” said the Speaker. 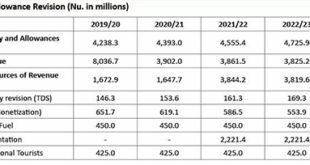 Deliberating on the Budget Report for the FY 2018-2019, the Speaker informed that Parliament adopted capital budget of Nu 11,380.192 mn for six months (January 1-June 30, 2019) and the 12th Five Year Plan and the Annual Audit Report 2017 of the Public Accounts Committee were also deliberated in the first session. Similarly, two Protocols were ratified, few motions were deliberated and Question Hour Sessions carried out successfully. “I would like to state that I had the great opportunity to preside over the deliberation, with Members of Parliament maintaining the decorum of the house and rendering full cooperation during the entire deliberation in the house. The members have carried out deliberations freely to ensure proper checks and balances, and achieved fruitful outcomes,” the speaker said. Speaker Wangchuk Namgyel also reported that the resolutions passed by the house will be forwarded to relevant ministries and agencies for necessary action and implementation. It is expected that the committees carry out effective legislative proceedings through representative and oversight function, and carry out public hearings and submit a report thereof to the house for deliberation. “To achieve food sufficiency in the country, our benign His Majesty has been working tirelessly for the welfare of our people thereby granting citizenship and land kidu graciously to our people in needs. His Majesty has recently granted building materials, seeds and seedlings as Soelrey to the people of Matekha Gewog to support the community initiative to achieve food sufficiency and increase production. The Parliament offers its unwavering gratitude to His Majesty for such noble initiatives,” expressed the Speaker. “With the blessing of the Triple Gem, mighty grace of His Majesty the Druk Gyalpo, collective merits of the Bhutanese people and continued support of the Members of Parliament, the First Session has been successful. Hence, I would like to thank all Members for making this session a fruitful one,” said the Speaker. The speaker also expressed his gratitude to everyone involved for successful conduct of the first sitting of the third parliament session.